The Annual Review Process is Broken. According to a recent Reuters poll, 80% of U.S. workers are dissatisfied with their performance reviews. 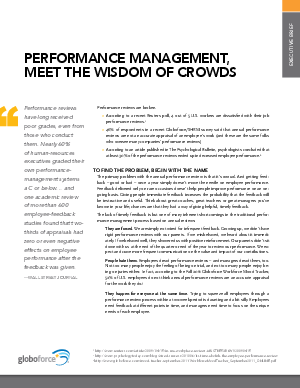 In this new white paper, we examine why so many are discontent and offer ways to radically improve performance management and engagement at the same time.